cost of a gallon of milk was $0.49. Imagine that! I have never seen prices so low. Even still, I would have had to make some hard choices in 1963 with my 59 cents if I were a working woman at that time. 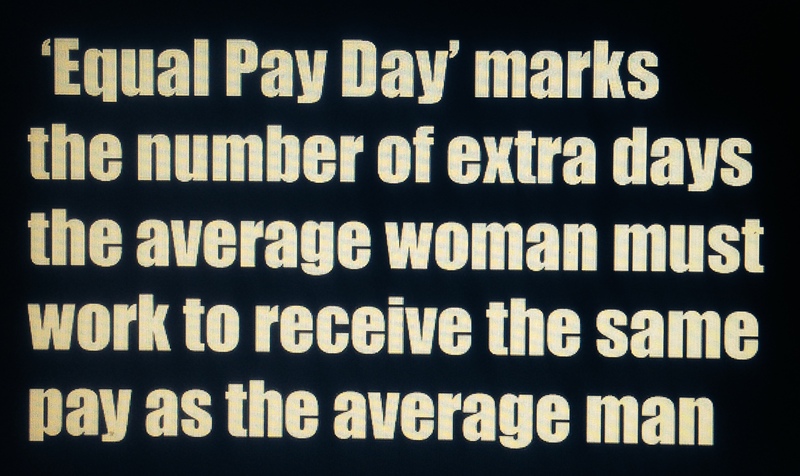 Currently, women earn about 81 cents on the dollar when compared to men. This pay difference widens for certain minority women. There are still hard choices to be made. Sure, as a country we are headed in the right direction but after 51 years I would have thought we would have reached the mark by now. Really, what is taking the land of the free and the home of the brave so long to pay us equally when we are doing equal work? Maybe I am asking the wrong question. Maybe I should be asking, “Where do I go to get my ‘19% off’ discount card?” I am paying the same as a man when buying a loaf of bread and more than him when dry cleaning. Small examples I know, but examples nevertheless. Is this a punishment or was I never expected to earn a real salary for working, to support my real life for living? Can’t help but to wonder, right?